Time for the next giveaway! I love contests...even if I can't enter them! I enjoy giving gifts as much as I enjoy getting them. I know, I'm weird. 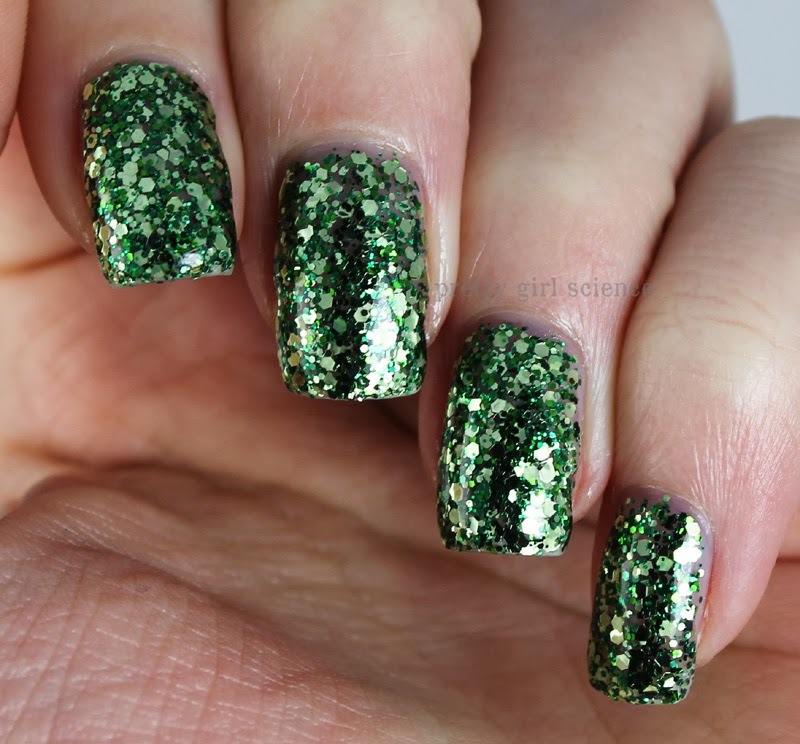 This next prize is Where the Green Grass Glows, which would be a fabulous polish to wear on St. Patrick's Day. 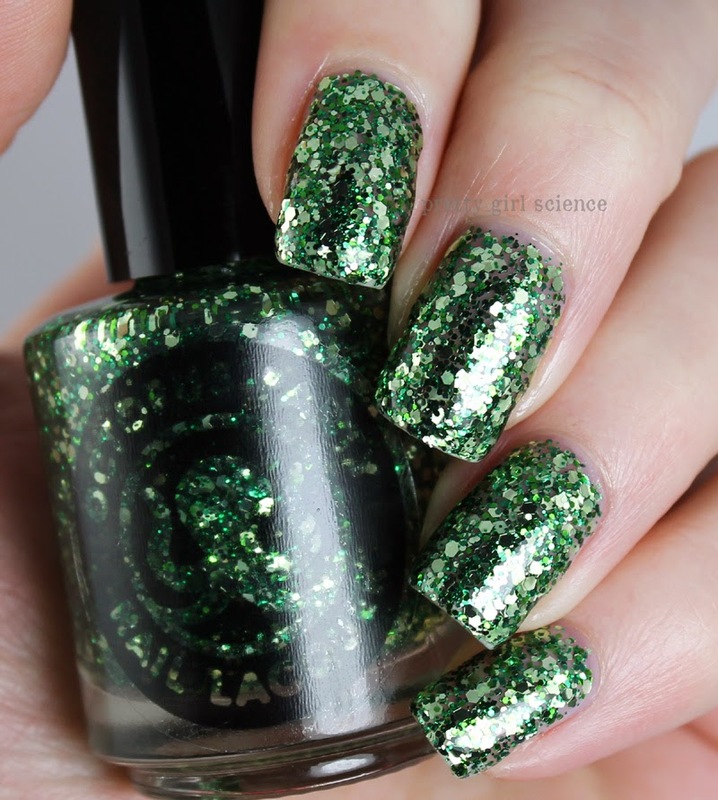 Its a mix of green glitters, densely packed into a jelly base. Just like it's sibling Ametrine Hour, it lays smoothly and doesn't misbehave. And it is super reflective. Be prepared to get some stares when wearing this one. So hurry up and enter! And I want to say thanks again to Dave for allowing us to host this giveaway. It's been far too long, and I'm glad to have something awesome to offer. WOO! Always down with sparkly green. I love to cook yummy desserts on valentines! This would be AMAZING for St. Patrick's Day!! I don't know about my favorite since I usually just go drinking with my single friends, but this year we're going to a haunted house which should be fun! Besides sharing Valentine's Day with Husband, I share a few precious hours with my sister doing something she loves. This year we're going to Disneyland, where the character couples will be out strolling through the park together, a rare thing. Well thjs is excellent timing I just got of all polish from that tested on animals! Eating candy with the kids... if they let me, anyway. Otherwise, it's just like any other day. Since it's a Friday night, we'll be watching a movie and having popcorn.